Round 6 is scheduled for Saturday 23rd but with a poor forecast we are now in a holding pattern. I've requested if we can hold the racing on Sunday 24th in more favorable winds. This will require agreement from SBYC committee as they have club racing on Sundays. Still awaiting call for Sunday. Foil races on the river then! Sorry to hear about the lack of wind for your racing, but an amazing break in the weather for my brothers solo swim to Rottnest on Saturday!! This weekend is my last in WA as I'm moving to Adelaide. It's been a blast sailing with all of you. Spewing I couldnt get one more sail in with yas. Ditto what Whitey said Stu! Thanks so much for organising everything and just being an all round good bloke. All the best in Radelaide mate! Thanks, Stu for bringing slalom racing back from the dead in WA. Your drive and passion have started something really great which we plan to continue. 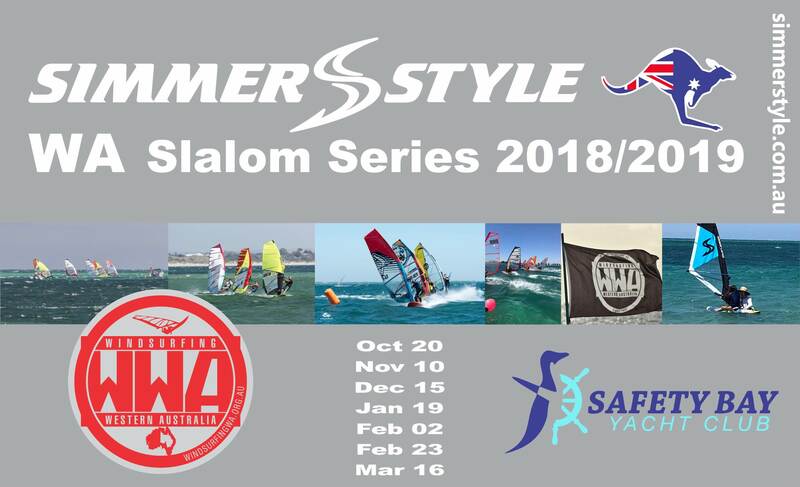 RIGHT - who is brave enough to step into Stu's giant shoes and assist WWA with co-ordinating the Slalom Racing at Safety Bay?